*This post is sponsored by Vital Proteins. All opinions are my own! It’s been somewhere around a month since I last posted a recipe, so I figured I’d come back with a bang! I can’t even tell you the last time I bought almond butter in the store and whenever I try one of the popular brands, I may be biased, but I still like mine the most. ANYWAY, enough about me and almond butter. Now it’s time for YOU and almond butter. I’ve combined three of my favorite things (espresso, chai spices, and almonds) into one magical recipe. Recently, I teamed up with Vital Proteins to bring you a number of different recipes featuring several of their products. I’ve been using them for about a month now and I REALLY enjoy them. As someone who regularly uses plant-based protein powder, having another non-whey source of protein that also improves my hair, skin, and nails is really a no-brainer. Not only does this source of protein help rebuild muscles after the 251654756741 workouts I do, it also helps rebuild skin tissue, hair, nails, bones and joints. Sign me up. 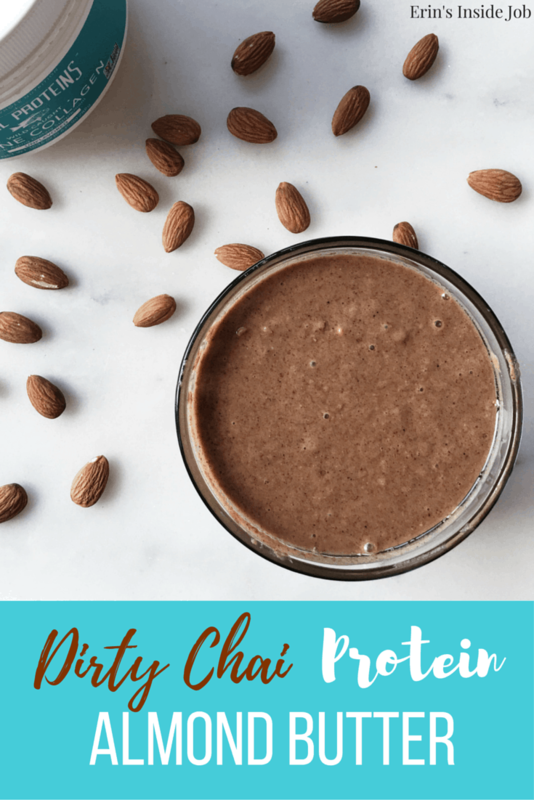 This dirty chai almond butter is made with the marine collagen (unfortunately, all their products are made from animal products in case you’re vegan), which is soluble in hot or cold liquids. There is no flavor and you can’t even taste it when mixed in with a glass of water. I’ve noticed my nails are even stronger than before (if that’s even possible), and my skin seems a little smoother, but I’ll keep you updated as I continue to use their products. 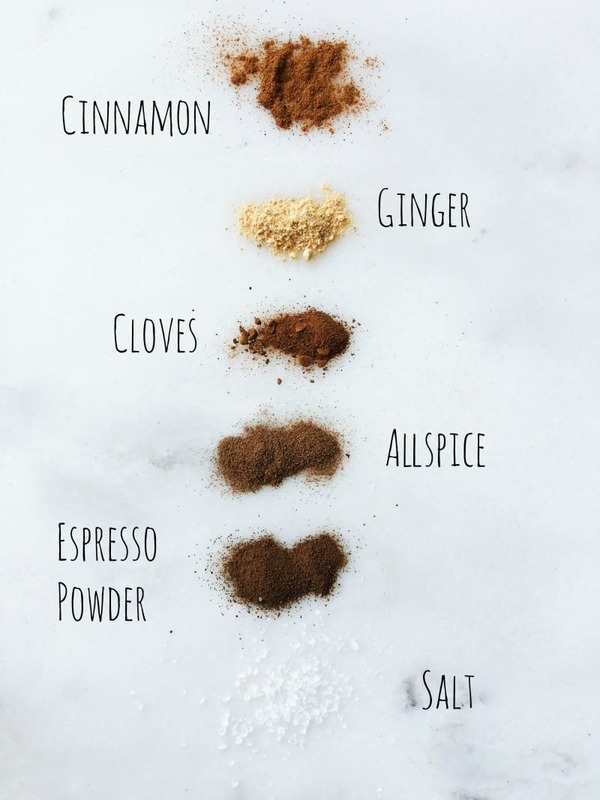 If you already have a chai spice blend, feel free to use 1-2 tsp of that in this recipe, but I made my own in case everyone doesn’t have a cabinet full of millions of spice blends. Seriously, I need to use some of those up. A staple of chai spice is cardamom, which isn’t pictured above, but you should definitely use it to help get that chai taste. I only had the pods and don’t carry too much of the powder since I am a bad Indian and don’t like it all that much. A dirty chai latte is simply a chai latte with a shot of espresso. It’s one of my favorite fall drinks and now I have it in a cooler, almondy form. 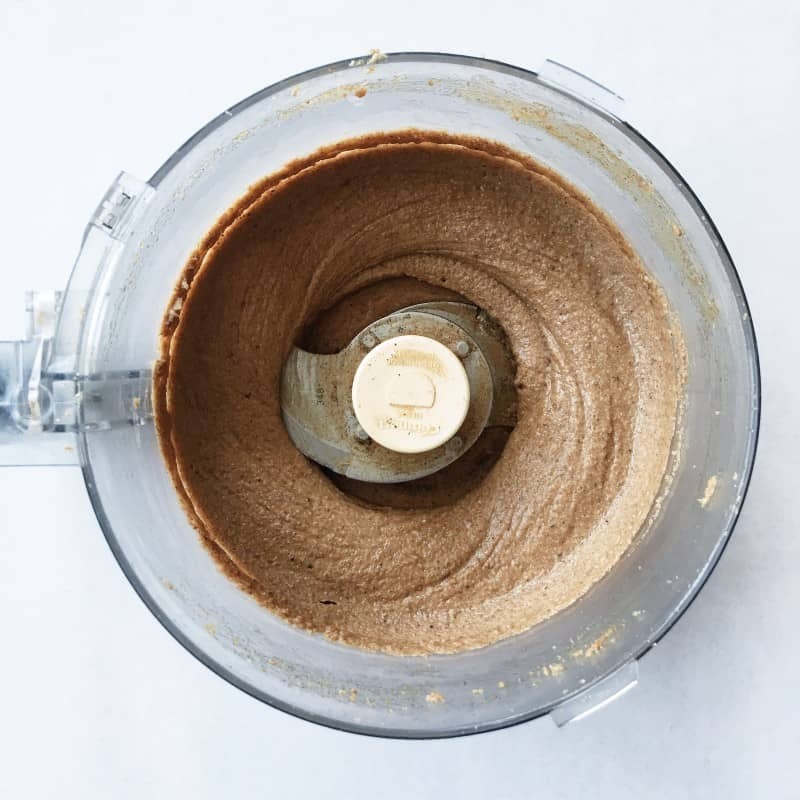 I LOVE making almond butter and it’s so easy to whip up in 20-30 minutes. Often I will just turn it on and do other things around the house because I can’t seem to do one thing at a time. I’m almost through my container of dehydrated dates after making this and I’m nowhere close to slowing down. Preheat oven to 350 degrees. Spread almonds in a flat layer on baking sheet. Roast for 10-15 min (I usually do about 13). 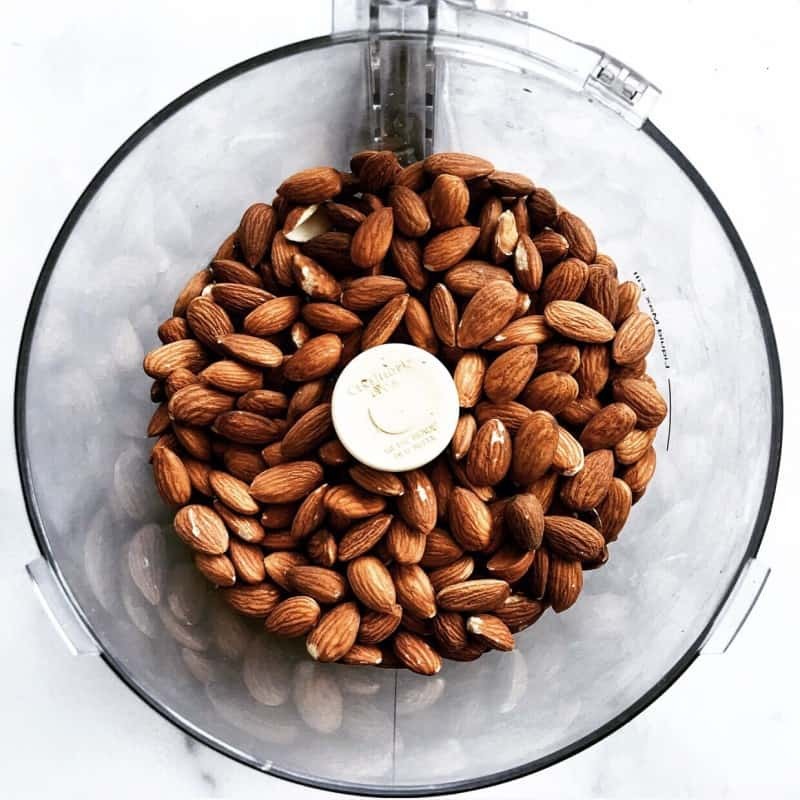 Add almonds to food processor. You can let them cool or put them in right out of the oven. I’ve done both. Turn food processor on and add all powders. Everything except for maple syrup. Let the processor run until the almonds begin to break down and resemble butter (approx. 15-20 min). Once the butter begins to form, add the maple syrup. The mixture will start to clump together again, but let the processor run until it smooths out and butter has reached desired consistency. Eat with a spoon. Or dates. Or fingers. *Feel free to adjust the spice ratios as you see fit. If you’re a cardamom-loving person (I don’t understand you), add a little more in. Always experiment to suit your tastes! **If you don’t have any espresso powder, you can try using instant coffee instead. 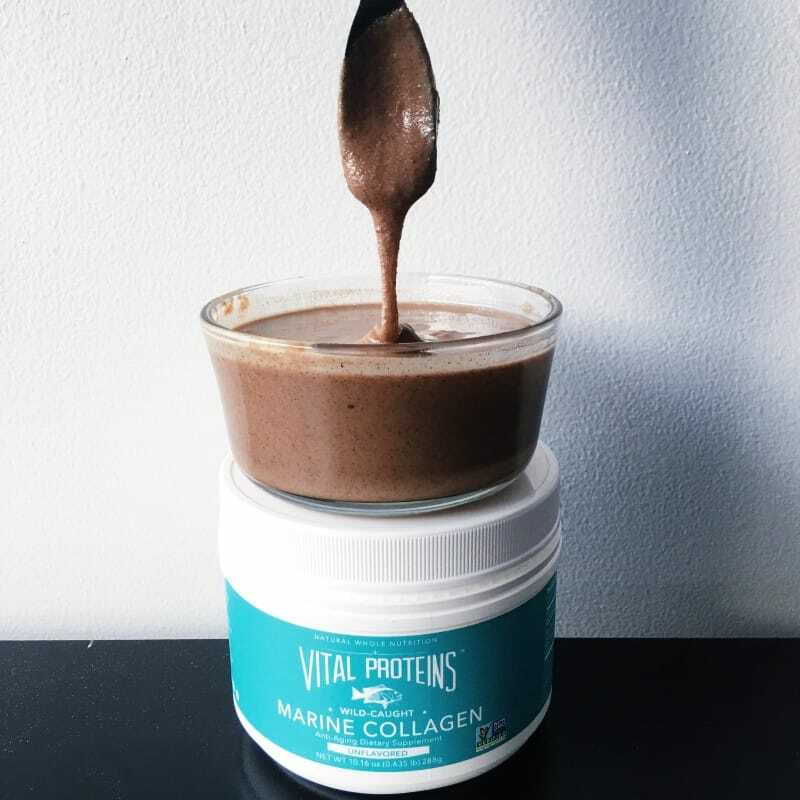 To read more about Vital Proteins or collagen in general, check out their website here. I’m a sucker for research and a nice, clean layout. What’s an almond butter flavor you’d like to see? Have you used collagen before? I have never used it before. I have never made almond butter. And thus begins my summer of firsts. Carla recently posted…How do you make introductions? DO IT. You can always just make the almond butter without the protein too. It’s seriously so easy and life changing. I am obsessed with collagen. I eat it at least once a day- usually mixed into tahini. You’re right it is pretty much tasteless. It totally makes my nails strong but also helps me with digestive issues! That’s such a good idea! Thanks so much for reading Michelle! I seriously need to try making my own. I’ve made peanut butter but never almond. Can you believe that? Right?! There’s no flavor and you can’t even tell it’s in there! You can eat all the peanut and I’ll take care of the almond! I need to put that in my face hole RIGHT NOW. I’m super intrigued by vital proteins. I’ve been having a lot of joint pain recently, and I suspect supplementing would help. You should definitely try it out. So far I’ve only heard great things about it and I’ve been enjoying it myself! Dirty Chai?! Drool-worthy. I need to order one of those the next time I go out for coffee! Do it! Then make this almond butter. I found out if you sub instant coffee for espresso powder, you need to use a fair amount more because it isn’t as rich. Not too much though or else it gets a little harsh and who needs harsh, right? Thanks for the tip!! Let me know how you like it! Sounds so delish! Could you tell me what are the negatives of Whey protein? Also, is espresso powder the same as instant espresso? I can’t wait to try your recipe! Thank you. I just don’t have whey protein bc my stomach is sensitive to it, but it’s fine if you don’t have an issue w dairy! I’d say you can use instant espresso in place of the powder but if you use instant coffee then youll have to use a bit more. Try adding a bit at a time if you do that and then add more rather than adding a bunch and having it taste bitter!